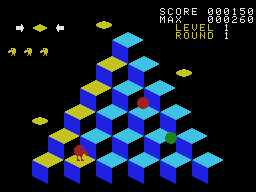 Score as many points as possible by changing the color of the cubes on the pyramid from a starting color to a destination color. 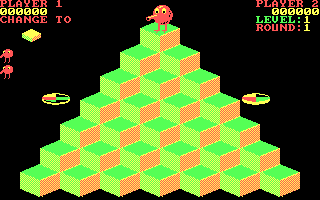 You'll do this by hopping Q*bert from cube to cube while avoiding the "nasty" characters who will try to stop him. 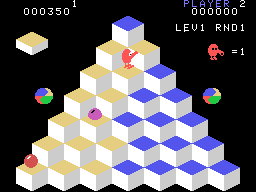 Each time you complete a pyramid, you'll proceed to a new pyramid or round. 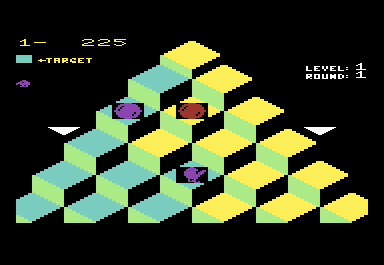 Try to complete as many rounds as you can. 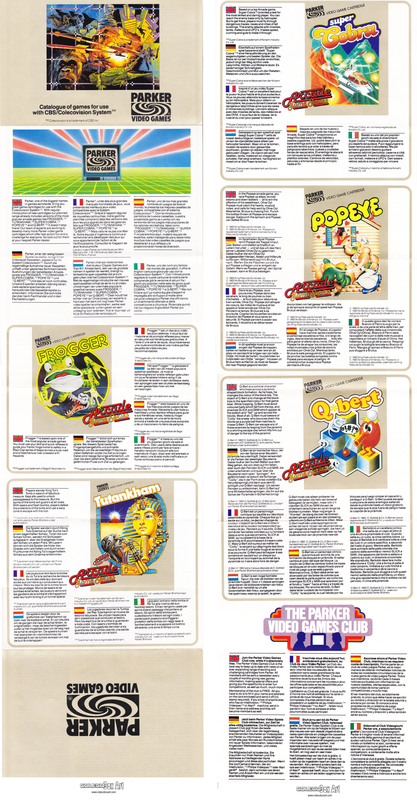 There are six separate games; nine levels in each game, and four rounds per level. 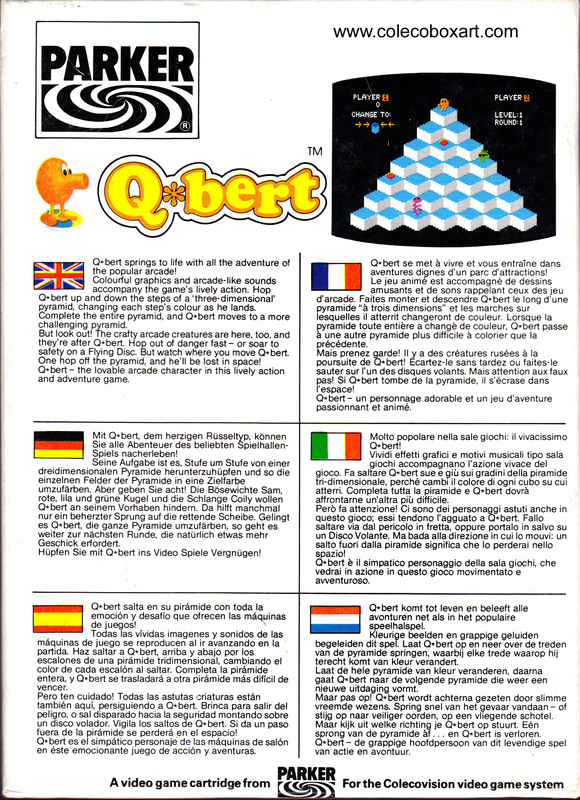 Port of Gottlieb's arcade game released in 1982. 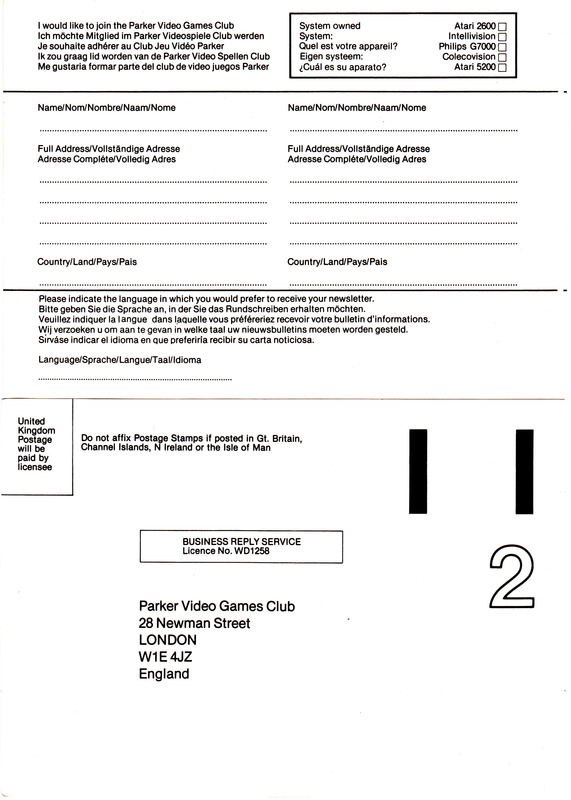 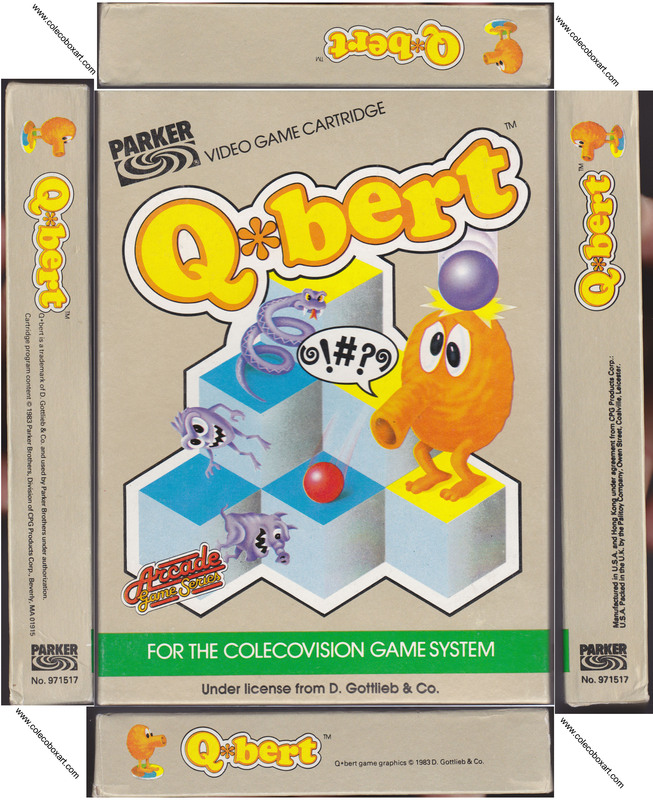 The game was conceived by Warren Davis and Jeff Lee. 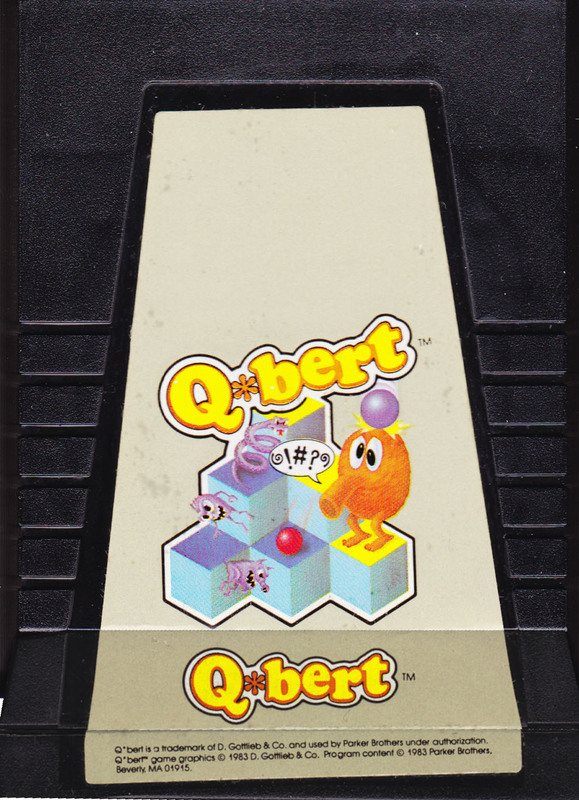 Lee designed the titular character based on childhood influences and gave Q*bert a large nose that shoots projectiles. 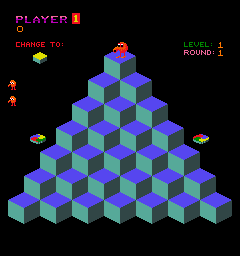 His original idea involved traversing a pyramid to shoot enemies, but Davis removed the shooting game mechanic to simplify gameplay. 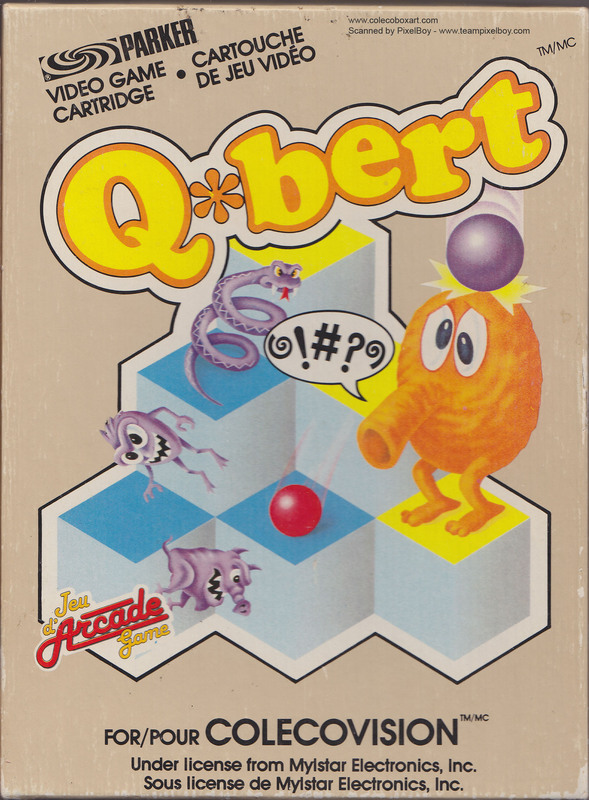 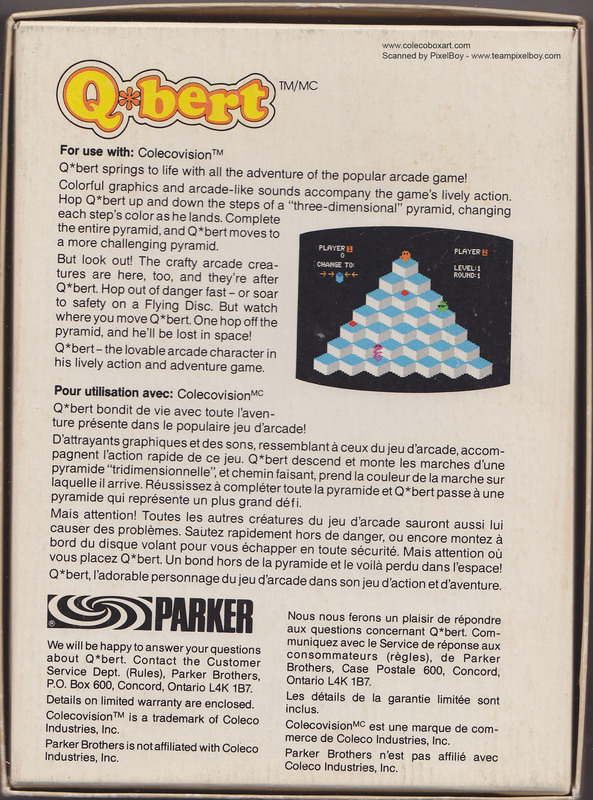 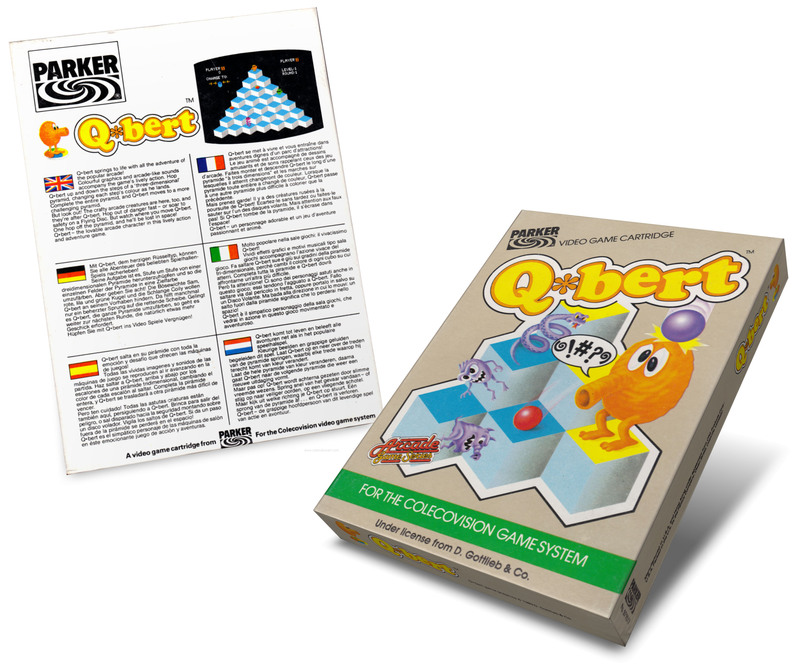 Q*bert was developed under the project name Cubes, but was briefly named Snots And Boogers and @!#?@! 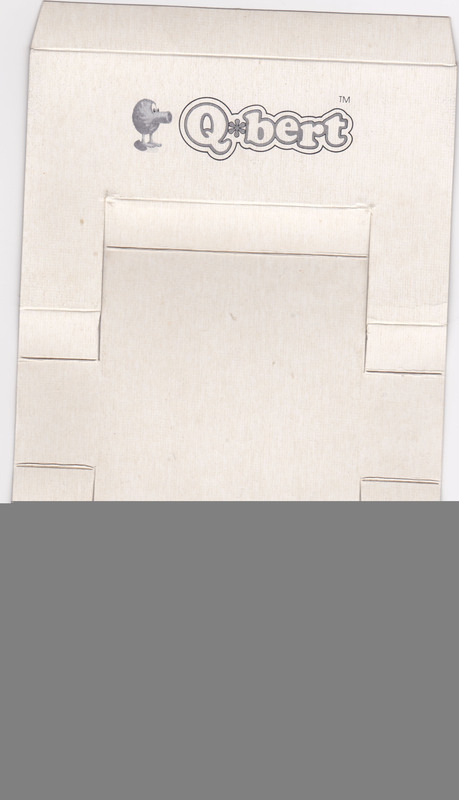 during development.